Welcome to Part 7 of the Mailserver Configuration series. At this point if you have been following the series you should already have a fully functional mailserver. No email provider is complete though without a web-based email service. 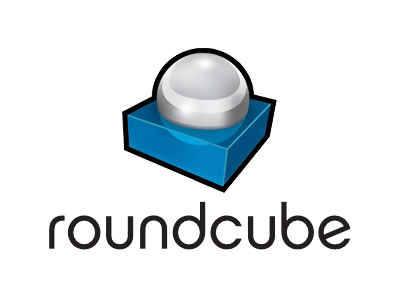 We are going to fill that gap in our mailserver with Roundcube. Technically at this point if you opened port 80 in your firewall, you could navigate to “http://mail.domain.com/installer/” but were going for security here remember? Navigating to that site right now would leave our connection unencrypted and open for someone to listen in on the connection and watch the entire configuration process, not good. So lets configure SSL encryption, again using the certificates we already have. You MUSTchange both (there are 2) of the “put.your.ip.here” lines under “# Apache 2.4” to your IP address, obviously the IP is going to be different for everyone, but this is the IP you want to configure Roundcube from. This will be changed later when we know everything is configured and secure. Go ahead and save and close that file. The default SSL configuration is only going to cause us problems, so I usually just rename it and re-create a very basic one telling the system to listen to https on port 443. Rather than walk you through the process, I’m just going to give you a single command to do it all at once. If you have trouble with dependencies, one fix that I found works a lot of times is to install it from the EPEL repository with “yum install roundcubemail” then remove it with “yum remove roundcubemail” then you will need to re-copy the install files to /usr/share/roundcubemail and also rename /etc/httpd/conf.d/roundcubemail.conf.rpmsave by removing the .rpmsave from the end. Click the “next” button and on the following page, you can specifiy what you want for product_name and I usually use https://domain.com/roundcubesupport.html for the support page, you can create this page later. From there I generally accept the defaults until I get to Database setup here it should have auto-detcted PostgreSQL, and auto-populated the first fields. You should only need to input the password for the roundcube PostgreSQL user we created earlier in this guide. On to the IMAP settings, here we can use “localhost” for the IMAP server, but I change the port to port 993 so that traffic is encrypted. I leave the username_domain blank because we want this server to be available to multiple domains. Make sure the “auto_create_user” box is checked, this makes Roundcube create any user automatically in it’s own database when it successfully authenticates to the IMAP server. The rest of the default IMAP settings should be fine. The Display settings & user prefs section is up to you to decide, I usually set the language to “en_US” and leave the rest at default. Moving on to the Plugins section, again this is usually your own preferences, but here are the ones I usually enable: attachment_reminder, emoticons, filesystem_attachments, newmail_notifier, password, vcard_attachments, zipdownload. When you are done, click “CREATE CONFIG”. Back on the web page, you will have an option to download the config, I usually just click in the box that displays the config and do CTRL+A to select it all and then I copy and paste it into the file we created using the terminal. Below the config file, there will be a list of the settings we just defined so you can go back and change them if you want to. Don’t close this file yet. Remember this means that you are probably going to have to open Port 7025 to everyone in your firewall if you want users to be able to change their own password. Restart Apache, if you only opened the ports in your firewall to a specific IP space, open it to everywhere now. Now you should have a fully functional mailserver. I am still going to add another part to this series for configuring blacklists and source checking to help fight spam, but right now you could start using your mailserver. Go ahead and add your domain with ViMbAdmin, and create a few mailboxes. Then test by logging into Roundcube. Your mailserver will also work to send and receive emails from mail clients as well. I did run into a few minor problems while configuring Roundcube and Dovecot, but I went back and fixed the appropriate parts of the series so that it should go smooth for you. I do eventually want to get the password plugin for Roundcube working and possibly add some other plugins. Another thing you will probably want to do is configure virtual hosts in Apache so you can host a web page on the server as well. If you found any errors on any of the parts, especially this one for Roundcube, please leave a comment so I can go back and fix them.